The first time I started a company, I was in college. It was a custom t-shirt company called Updawg Productions (please don't judge me on the name). As college students, the t-shirt companies we dealt with charged too much and their 9-to-5 hours and bureaucratic process was awful for kids like us. I was only 19 and naive about business, but I was determined to make life easier for my fellow college students. Even then, I loved improving an inefficient process. Years later at my job for a commercial real estate company, I remember crafting a report for a data center client. Our client asked us to search North America and find the city for their next data center. We spent weeks gathering data, analyzing, and creating an overview of the process. And our client needed the information quickly. For those not familiar with this task, it's not a quick one. While most of the work ties back to the total cost of the project, a large portion focuses on risk mitigation factors specific to the company itself, which takes a lot of time. At that moment I was convinced there must be a better way –– Now there is. 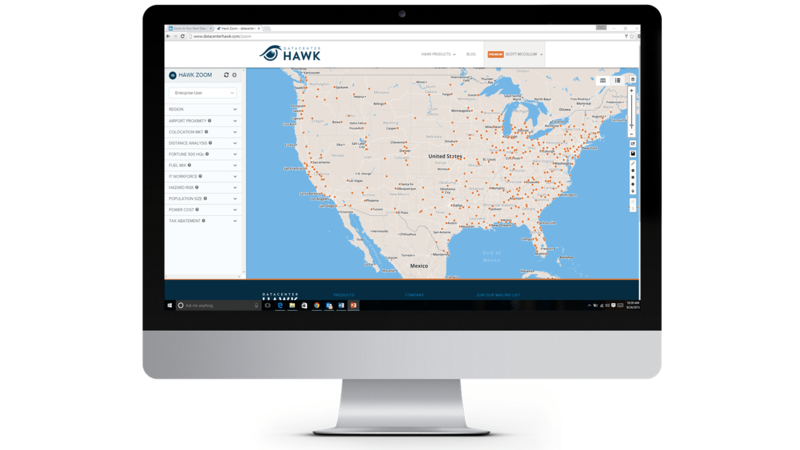 Hawk Zoom is one of our featured products at datacenterHawk and it finds data center markets for you. By analyzing over 360 US cities, 16,542 data points, and 20 different filters, a data center professional can find cities specific to their criteria. Power cost, tax incentives, hazard risk, and IT workforce are several of the filters weaved into the search. Also, it tracks the information during the process to produce a sharp summary report. Today, I was on Hawk Zoom and searched 6 filters. After it eliminated 352 markets, I ended up with 8 cities based on criteria I selected... all in 38.2 seconds. Parts of the data center strategic process can't be sped up, but this part can. Hawk Zoom helps data center users, brokers, and consultants find markets quickly from a solid process with solid information . Taking a process that takes weeks – sometimes even months – and reducing it to seconds brings great satisfaction. 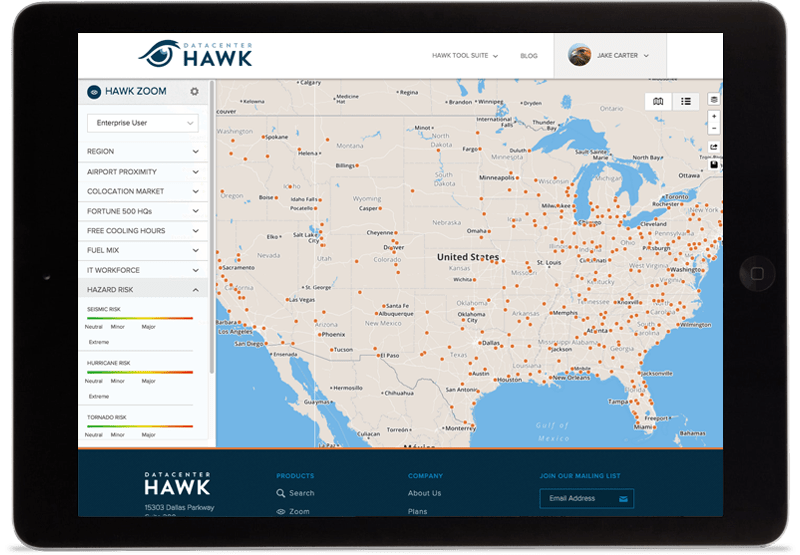 Sign up for a free trial of our service at http://www.datacenterhawk.com/register to experience how much quicker it we made it for you to find your next data center solution.